Winter is Coming! 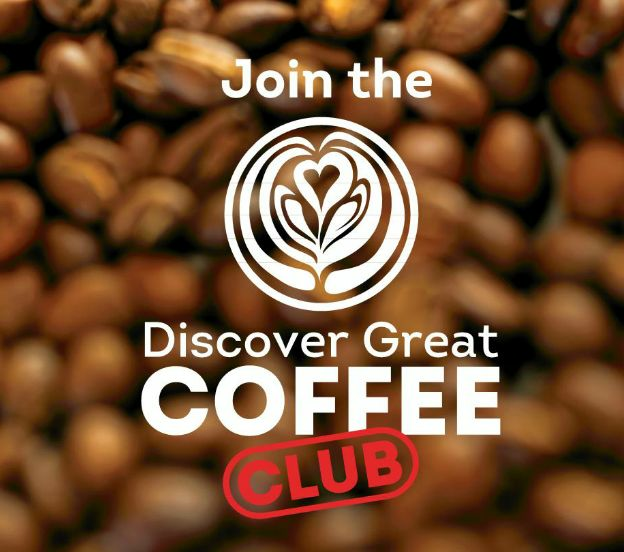 Get your Discover Great Coffee box now! Are you drinking good coffee? If you buy this box, you certainly will be. We have curated 6 different bags of beans from roasters across the country to try. Read all about the amazing beans below. Guatemala (Finca El Morita Estate) single origin. The coffee is a medium (city roast) roast which preserves the origin characteristic of the coffee. This central American coffee has a full, sweet aroma. The cup is bright with hints of dark chocolate. There is a pronounced caramel sweetness in the finish. The signature blend from Bean Addiction coffee roastery. Specialty-grade arabicas from the top coffee-producing extremes of the world. A well-balanced blend for all-day enjoyment. Locally roasted & freshly delivered. This 100% African blend boasts rich hazelnut flavours, which melts into a deep dark chocolate affair, CAPICHE! Biagio, our frontman delivers a “coffee you just can’t refuse” best served “Al Italiano” (short espresso)OR “Con Latte” (with Milk). 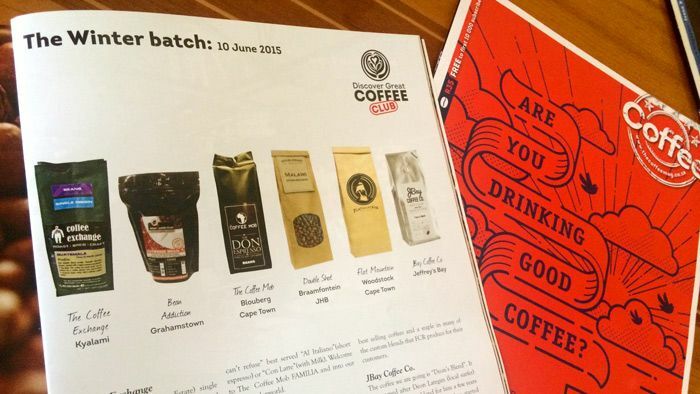 Welcome to The Coffee Mob FAMILIA and into our coffee underworld. Direct trade from seed to cup! Direct from Alex's estate in Satemwa Malawi, this reserve lot is exclusive to Doubleshot. 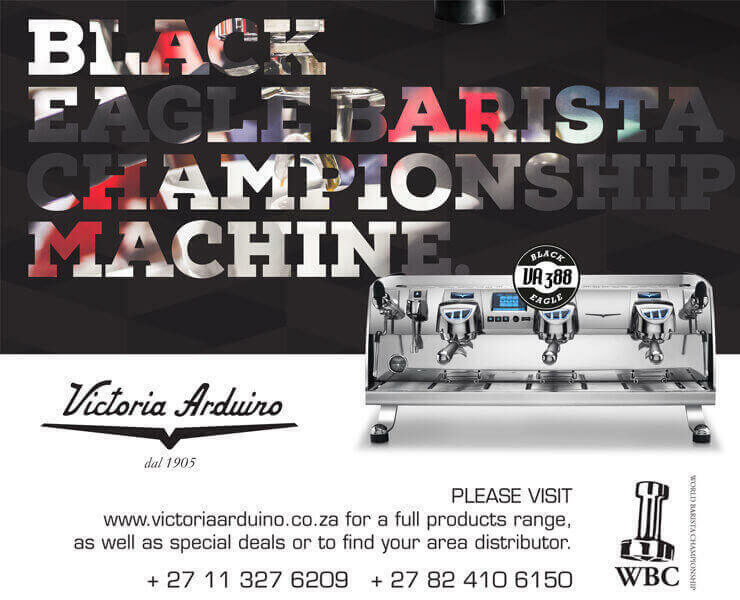 A firm favourite and the backbone of Doubleshot's offerings. The bean is big, bold and chocolatey with mild acidity and makes extremely punchy cappuccinos! Flatmountain - Woodstock Cape Town. This Ethiopian Sidamo is a full rich bodied coffee with distinct floral and wine notes. It is one of Flatmountain Coffee Roasteries best selling coffees and a staple in many of the custom blends that FCR produce for their customers. The coffee we are going is "Deon's Blend". It was named after Deon Lategan (local surfer) after we created the blend for him a few years ago and as his mates tasted it, they started asking for it as Deon's Blend. Now its one of our best sellers. It is a blend of Ethiopian and Costa Rican Single Origins. A bold coffee with nice fruity/winey tones from the Ethiopian and a sweet bright tangy aroma from the Costa Rican.